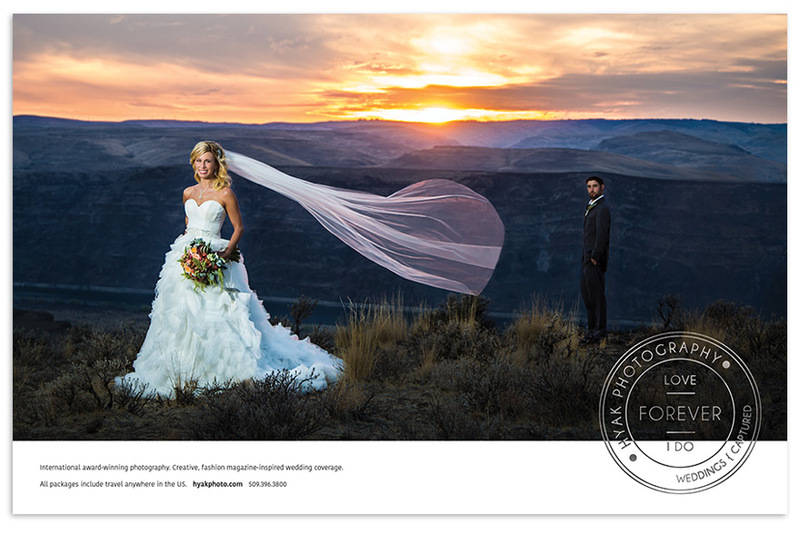 As part of Hyak Photography’s increased focus on bridal and boudoir photography, they began marketing themselves in regional and national bridal and fashion publications. Using a “go big or go home” mantra, they decided to launch this campaign with an ad formatted as a two page spread. I was asked to design this ad, with the only direction being their desire to use a specific bridal image as the main photo. I decided that a minimalist approach was best, especially after noticing how simple high-fashion print ads from couture brands tended to be. The final ad is austere and direct. There are only three elements; the signature image, the Hyak logo and a very small text block. The result was powerful…powerful enough to gain Hyak new clients from across the United States.